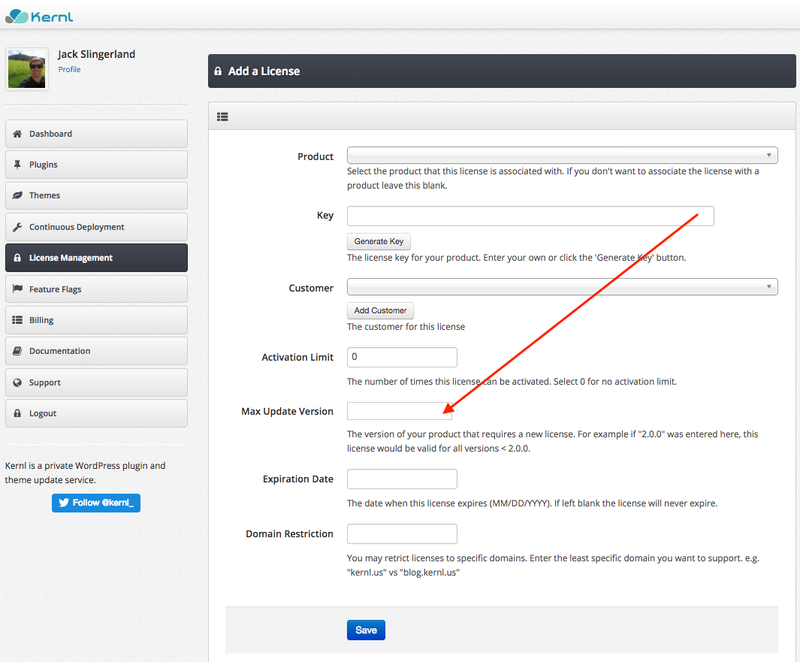 Kernl WordPress license management now allows you to limit updates up to a specific version. 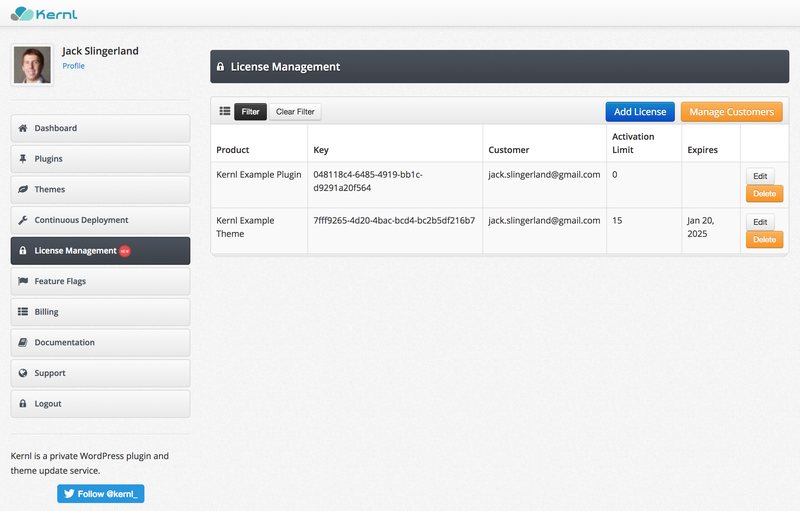 Assuming that you already use Kernl’s license management, go to the License Management area of Kernl. Once there add or edit a license. Customer A bought a license with “Max Update Version” set to 2.0.0. The product was at version 1.7.0 at the time of purchase. Over the next few months you release 1.8.0, 1.9.0, 1.9.1, 2.0.0, 2.0.1. Customer A only receives product update versions 1.8.0, 1.9.0, and 1.9.1. Drive. More. Sales. This new feature allows you to be extremely granular about what updates a specific customer receives. We also made updates to plugin_update_check.php and theme_update_check.php that allow you to customize the invalid/expired license message. We strongly believe that this combination of better license expiration messages and limiting through specific update version can be instrumental in helping you drive more sales.